Knowing that you’re among the more than half of men and women in the United States who’s missing at least one tooth isn’t very comforting. But knowing that you can replace your tooth (or teeth) with dental implants is. Dental implants are the most natural-looking way to restore your smile and preserve your oral health. Dental implants are a tooth-replacement system that’s designed to mimic the look and function of your natural teeth. Unlike dentures and bridges — which replace several or a full row of your teeth with one device — each dental implant is individually crafted as a single replacement tooth. You can replace just one missing tooth, several teeth, or all of your teeth with dental implants. 2. Do dental implants look like natural teeth? Yes. Dental implants are the most natural-looking tooth replacement available. 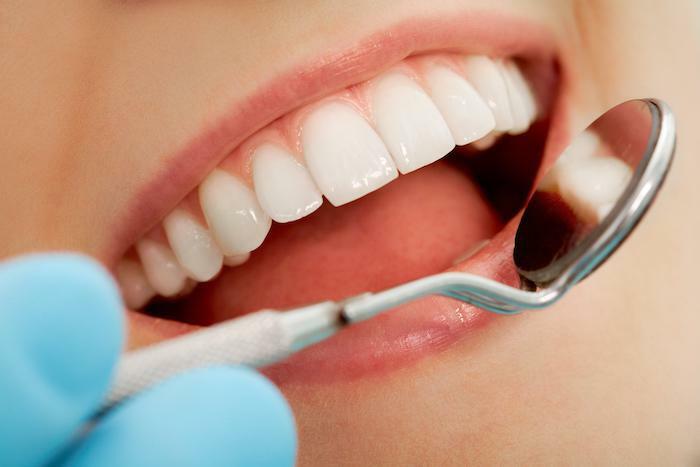 At Sac Dentist, we custom design your implant to match the size, shape, and color of your natural teeth. Once your dental implants are in place, even you may forget you have them. Unlike other tooth-replacement systems, dental implants can’t slip out of place, either. The titanium post fuses into your jawbone to create a secure “root” for your false tooth. Dental implants also help keep your other teeth in proper alignment. If you don’t replace a missing tooth, your other teeth may migrate toward the gap, creating difficulties in your bite that could affect your jaw function, tooth alignment, and chewing. 3. Do dental implants preserve my jawbone? You may have noticed that elderly men and women who’ve lost their teeth have shrunken-looking lower faces, even when they wear their dentures. Their jawbones have have atrophied over time because their false teeth don’t put healthy pressure on the bone tissue. Your natural teeth are literally rooted into your alveolar bone. When you chew, the pressure created extends all the way down your roots and into your jawbone. That constant, daily pressure “reminds” your jawbone to replace old, dead bone cells with fresh new bone cells. But if a tooth falls out and either isn’t replaced at all — or is replaced by dentures or a bridge that rests only on your gums — your jawbone doesn’t receive healthy stress anymore. Over time, the size of your jaw decreases. By mimicking the action of a natural tooth, the titanium root of your dental implant stimulates your jaw to create new bone cells. Each time you chew with dental implants, you put pressure on your jawbone so that it stays healthy and maintains its shape and size. 4. How do I take care of my dental implants? You take care of your dental implants just as if they were your natural teeth. Brush them at least twice a day with a soft-bristled toothbrush and regular toothpaste and floss at least once a day. As an added bonus, dental implants don’t stain. So you can enjoy your favorite foods and beverages without worrying about discoloration. Every six months, come in to see us for a professional cleaning and examination. We also check your dental implants at that time to be sure they’re functioning well and that your jawbone is healthy, too. 5. How long does it take to get a dental implant? Because dental implants must be surgically placed, you need several appointments over the course of a few months to complete your dental implants. Depending on how much jawbone you have, your dentist may recommend building up your bone with grafts before placing your implants. After your dentists surgically places the titanium post in your jaw, you wait 2-6 months while your jawbone fuses to the post. During that time, you can wear a temporary crown to hide your missing tooth. 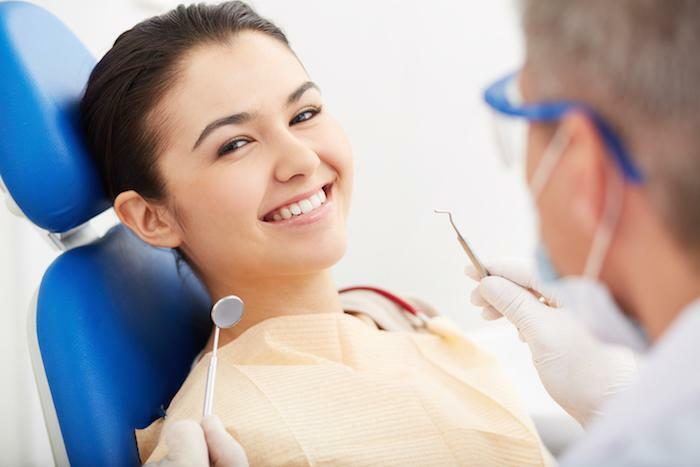 Once your implant is secure and your custom crown is ready, your dentist affixes it in place. If you’re missing a tooth, call us today for a dental implant consultation or book one with the online scheduling tool.